Netgear announces IPO spinoff for its DIY Arlo security cameras. Netgear to retain 80% of stock ownership. 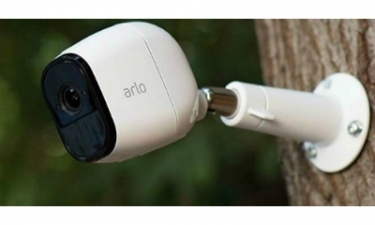 Arlo also recently announced a new Arlo Pro 2 model camera, with wireless capabilities and a rechargeable battery. In another signal of the rapid growth of the DIY residential surveillance camera business, Netgear has announced it will spin out its DIY Arlo security camera unit into a separate business with an IPO. Netgear, which is best known for its consumer routers, expects the new company, dubbed Arlo Technologies, to issue less than 20 percent of its common stock in the IPO, with Netgear to retain the remaining interest.